A lot, in the case of the Monteverde Impressa collection. This new series is impressive for its unique styling and stunning finishes. The squared cap top gently transitions to a rounded barrel. 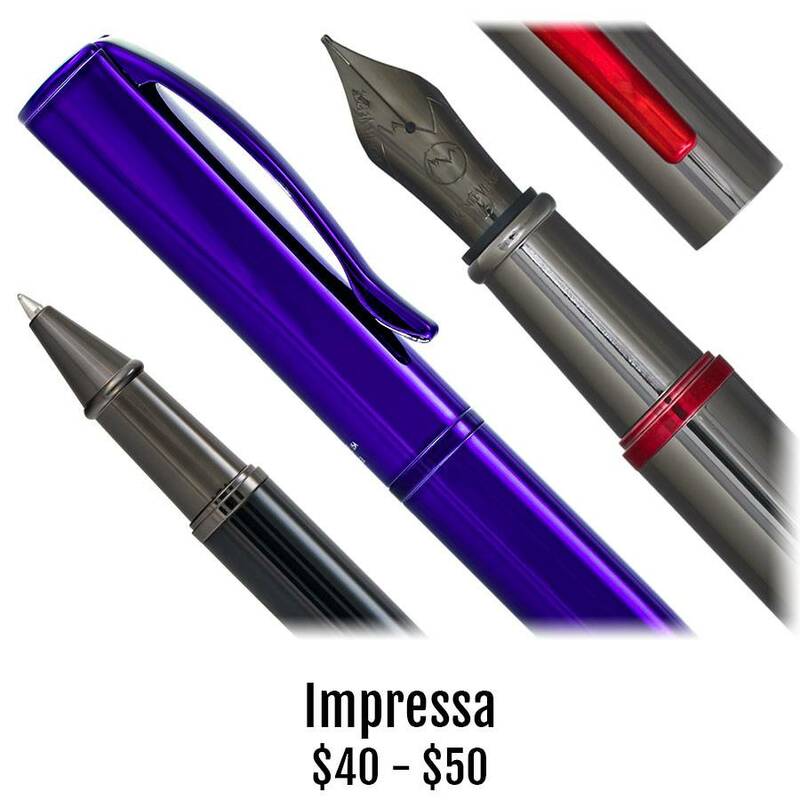 Impressa is covered with layers of iridescent blue with snazzy matching blue trim, a classic black lacquer with subdued gunmetal trim or a unique gray with red trim. Select your favorite combination for the perfect impression, or should we say Impressa? The fountain pen’s stainless steel nib is available in fine, medium and broad. It includes a threaded ink converter. The fountain pen fills with our Colorado Pen cartridges, the ballpoint accepts the common Parker-Style refill, and the rollerball accepts our common rollerball refill.